Absolute Care was founded in 2012 by Wendy – previously an NHS community nurse and manager – to deliver outstanding-quality home care in the Charnwood district of Leicestershire and the Rushcliffe district of Nottinghamshire. 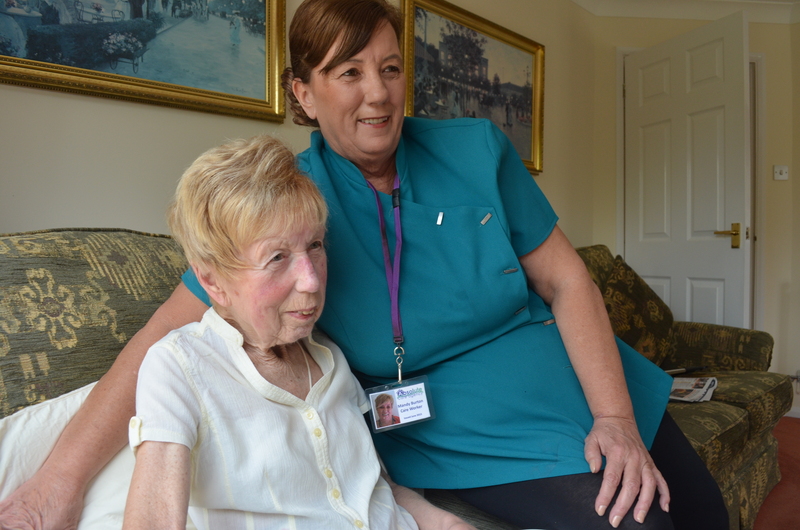 “We aim to help people in our local community to stay living independently at home for as long as possible”, says Wendy. We specialise in caring for people with physical or mental impairments such as Dementia and Multiple Schlerosis. We offer a prompt and thorough initial assessment and will suggest a package of care personalised to your needs. Contact us to discuss your care requirements or to find out about joining our team! 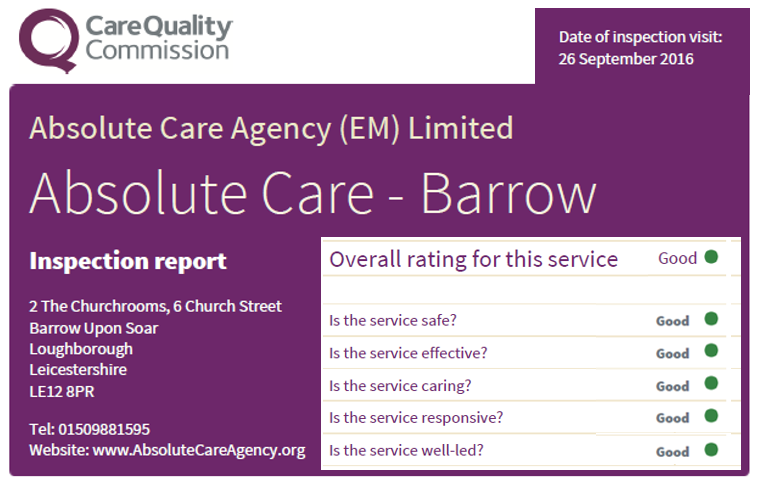 Absolute Care is a trading name of Absolute Care Agency (EM) Ltd, a limited company registered in England Wales. Registration number 0798 3657. Registered office: 2 The Churchrooms, 6 Church Street, Barrow upon Soar, Loughborough, LE12 8PR. All content is copyright © Absolute Care 2012 - 2018. All Rights Reserved. Website developed by Blue Cloud Web Solutions.